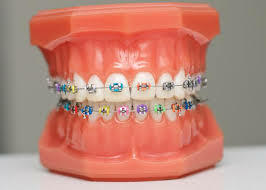 Orthodontics is a branch of dentistry specializing in the diagnosis, prevention, and treatment of jaw, face, and bite irregularities (malocclusions*). Orthodontic treatment is provided by an oral health care provider known as an orthodontist, who has completed two to three years of additional training beyond dental school. Recent years have brought about many changes within the dental industry, specifically with regards to orthodontic treatment and care. Now, more than ever, patients are experiencing fewer incidences of cavities and missing teeth due to the heightened awareness of fluoride use and preventative dentistry. This increasing awareness on the health and appearance of a patient’s smile has fueled the desire for many to seek out orthodontics not only as a medical necessity, but for cosmetic reasons as well. Whether it’s traditional braces or custom-made, removable appliances, orthodontics can help you have the healthy, straight, beautiful smile you’ve been waiting for! *Malocclusion is the technical term for teeth that don’t fit together correctly. Malocclusions not only affect the teeth, but also the appearance of the face. Most malocclusions are inherited; however, some are due to acquired habits such as thumb sucking and tongue thrusting. The spacing left from an adult tooth being extracted or an early loss of a baby tooth can also contribute to a malocclusion.